Bachelorette wedding red custom lens sunglasses is a bride’s best friend (after chocolate, flowers and diamonds)because it helps her to address her friends easily. These lens sunglasses can be gifted during bachelorette party, wedding party or other girly get-together events. It makes a great fashion choice for the people who receive it as a gift and they can team it with all types of dresses and jewelry. 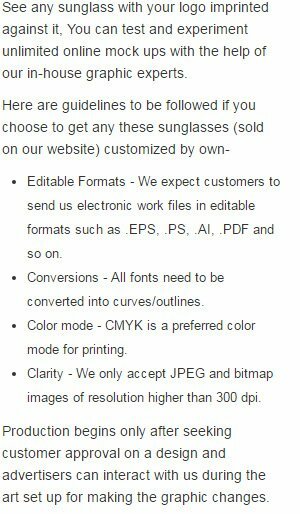 Attractive price savings and appreciation are the two benefits of seeking these imprinted wedding party sunglasses in bulk. It is definitely going to be a memoir of a lifetime and each of your girlfriend who wears it to the wedding would love to treasure it for long time! Highlights –4 -Color process highlight. Bachelorette letter imprints. Red sunglass frames.